With transliteration ‘Off’ the keyboard, shown below the input text area, maps your English keys to Punjabi characters. With time you will get good hands on this mapping and it will be easy to type long text. With transliteration ‘On’ you simply type Roman Punjabi (case in-sensitive) and it get converted to Punjabi word-by-word. Means, after each word is completed with a ‘space’ it will be converted to Punjabi. In case you do not get what you are intended to, press backspace and you will get options to choose. If even that does not work for you, you can switch it ‘Off’ back and type what ever you required. You can switch between these modes anytime as per your convenience. Watch the video for an example. Thanks for using our ‘Virtual Punjabi Keyboard‘! 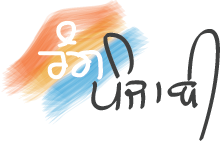 Start typing Punjabi using our Virtual Punjabi Keyboard now!